Queues at every ATM this morning across Thailand as a nationwide outage of the cash network, made people have all the more reason to use Crypto. 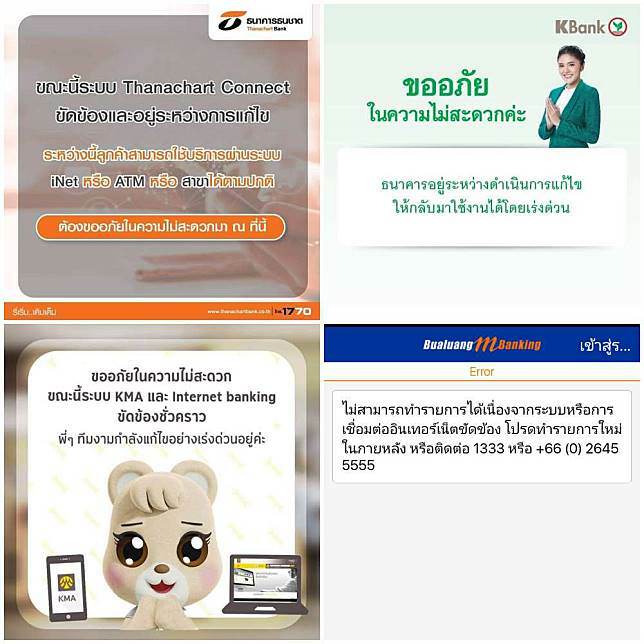 All banks are effected including Kasikorn Bank, Siam and Krung Thai. Customer call centres are also offline at time of writing. Customer service staff we enquired with at several different branches, had no answer as to why or when the network would be restored, forcing customers to use the branches withdrawal desk and making many drivers stranded at fuel stations across the kingdom as no transactions could be issued. While people wait for a friend or relative to bring them some cash to get home, the need for a decentralised solution is ever more apparent.